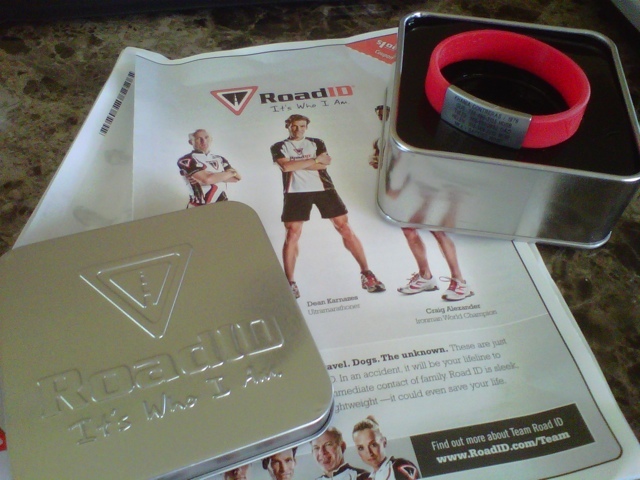 I just received my new Road ID bracelet. Living in Miami we all know how unfriendly (to say the least) drivers can be. Specially when I’m out on the bike I can’t help but to feel nervous every time a car gets too close. Safety first!!! So I decided to get my bracelet with important emergency contact information just in case something were to happen. I will wear my ID when on the bike or any long run I may be doing by myself. Always be aware of your surroundings and never trust that the other person behind the wheel knows you are there!